The cake was made with our own Vanilla Sponge recipe, using real vanilla pods as always for the flavouring of the cake and the butter cream. The handle has been made from flower paste making everything on this cake totally edible. 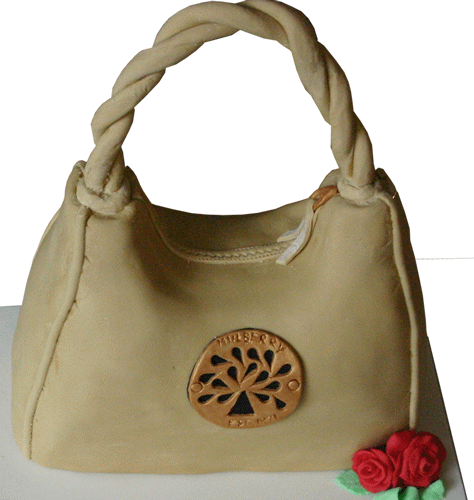 The mulberry handbag cake is available in a full range of sizes, shapes and colours to suit. 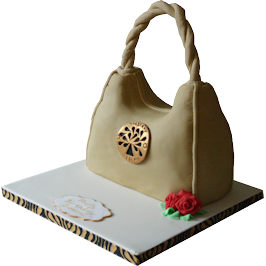 If you have a particular Mulberry style hand bag that you would like to replicate into a cake then please let us know. Whatever custom fashion design cake you require, we can provide for you. 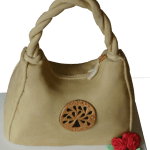 Our replica 3D bespoke cakes include (Gucci, Chanel, Louis Vuitton) and many more. Whether you are from Devon or Tyne and Wear. Kent or Cumbria. we offer a personal delivery service on all of our cakes. We do not use couriers. Our cakes will be delivered and set up in person either to your house or your chosen venue in the UK or Wales. Send us your request for your fashion designed cake and we will replicate it for you in stunning 3D.